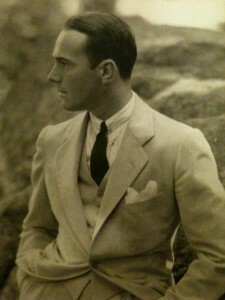 I’ve long been an admirer of the 20th century American interior designer William Haines. 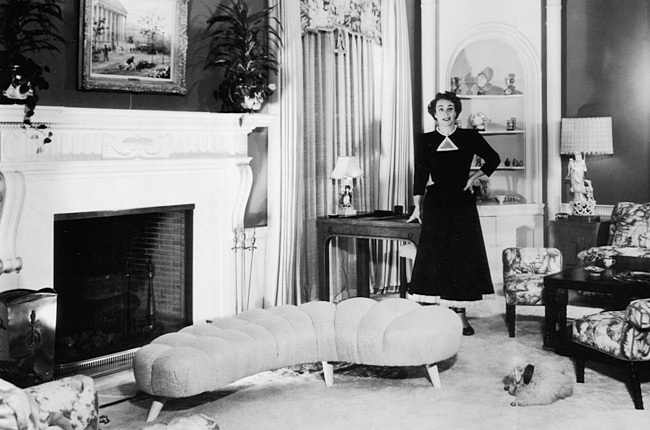 He had a flair for creating interiors which combined simplicity and luxury — much like Chanel did for clothes. 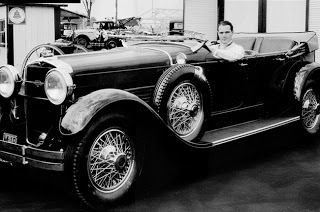 And the furniture he designed, many designs still available through www.williamhaines.com , are as covetable now as they were when the design first sprouted from Billy’s aesthetically atuned mind. One of Billy’s most famous quotes is “I would rather have taste than either love or money”. And taste is something Billy had in spades. Billy was talent scouted for Hollywood in 1922 and within a few years was an in-demand leading man. 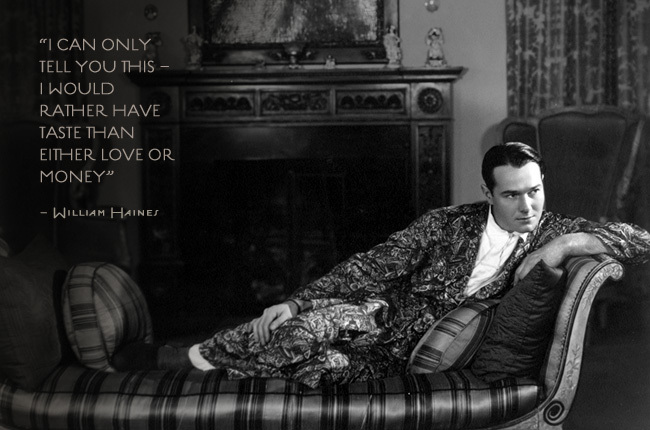 He was often cast opposite an up-and-coming flapper named Joan Crawford and the two became lifelong best friends. 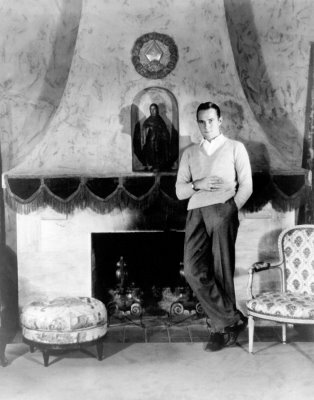 When he retired from movies in 1934, because the studio insisted he hide his homosexuality, something he refused to do, he opened an antique shop in Hollywood. 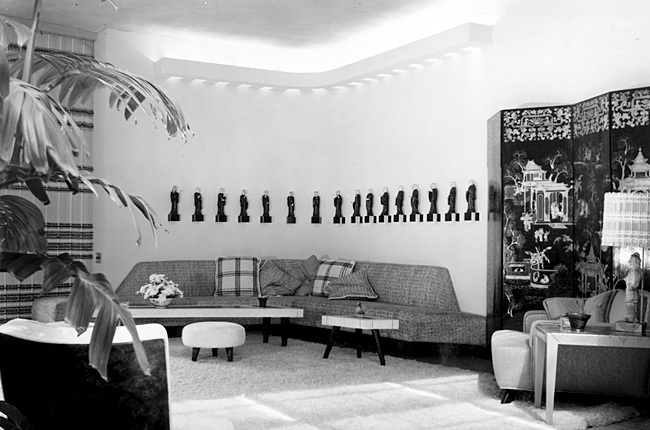 It wasn’t long before Hollywood’s leading ladies, lead by Joan Crawford, were knocking on his door to have him design their homes in the new Hollywood Regency style he had invented in his own home — a style which brought together old world antiques with custom-made modern pieces, touches of Chinoiserie, exotic artifacts including animal skins and prints, and lots of mirrored and laquered surfaces…oh, and not to forget the luxurious velvet and silk curtains, swags and all. 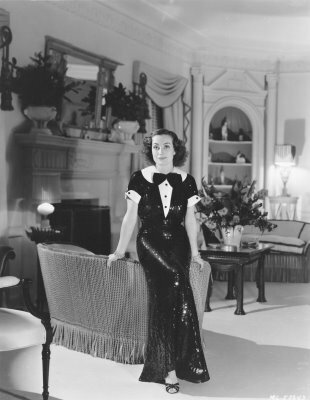 Billy pulled it all together into a look that was both glamorous and liveable. Genius. His new career as an interior designer was born. …and again, in the 1950s, where Haines’s signature tufted upholstery can be seen on the ottoman, and the upholstered chairs show Haines’s talent for simple but comfortable furniture. 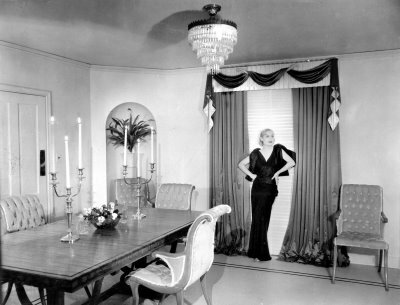 Here’s another friend, Carole Lombard, in her 1930s living room — an early Haines Hollywood Regency design, complete with antique crystal chandelier and swagged curtains. The perfect glamorous frame from a glamorous client. Even at this early stage we can see his affection for tufted furniture. My favourite Haines designs came later in his career, in the 1950s and 1960s, when he really came into his own with his timeless furniture designs which sat perfectly in the more stream-lined interiors of the day — and which still work so well in contemporary interiors. 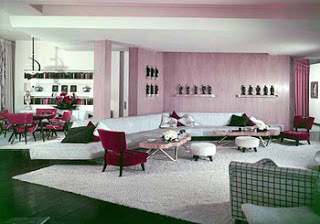 …and the Valentine sofa, designed in 1950. 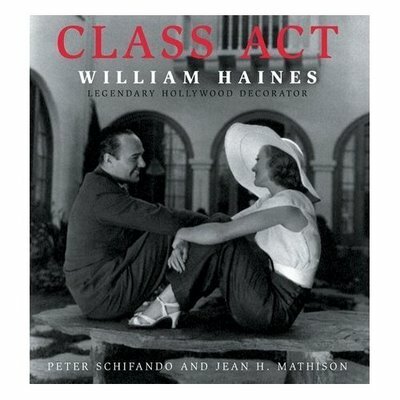 You can read more about William “Billy” Haines in the terrific book by Peter Schifando and Haines’s long-time assistant Jean H. Mathison. 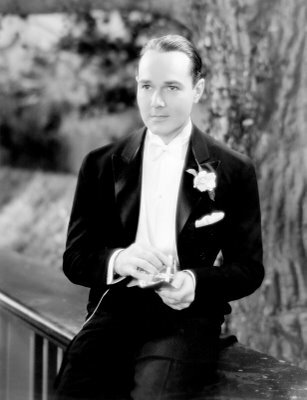 William Haines, another design great. This entry was posted in architecture, Colours, Contemporary Design, Hollywood Regency, inspiration, Interior Design, Interiors, Living Rooms, William Haines and tagged American interior design, glamour, Hollywood glamour, Hollywood Regency, Interior design, interiors, William Haines. Bookmark the permalink. My goodness, he really did have taste! Not just in design, but in clothes too, never seen a snazzier dressed man!